COMFORTABLE RELATIONSHIP: I think we are all just looking for that one person that we can be ourselves around, that one person who will love you and accept who you are, your silly awkward side and your serious side too. 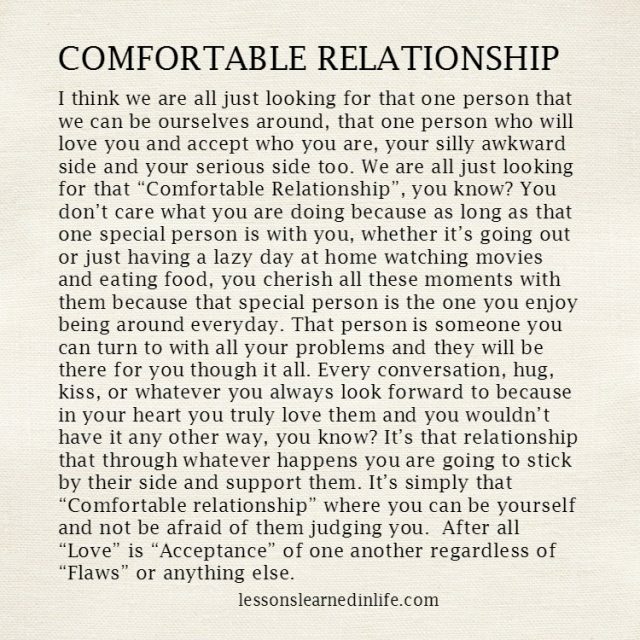 We are all just looking for that “Comfortable Relationship”, you know? You don’t care what you are doing because as long as that one special person is with you, whether it’s going out or just having a lazy day at home watching movies and eating food, you cherish all these moments with them because that special person is the one you enjoy being around everyday. 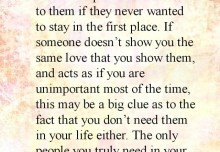 That person is someone you can turn to with all your problems and they will be there for you though it all. 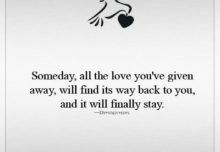 Every conversation, hug, kiss, or whatever you always look forward to because in your heart you truly love them and you wouldn’t have it any other way, you know? It’s that relationship that through whatever happens you are going to stick by their side and support them. It’s simply that “Comfortable relationship” where you can be yourself and not be afraid of them judging you. 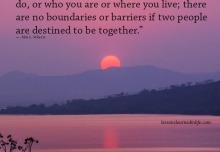 After all “Love” is “Acceptance” of one another regardless of “Flaws” or anything else. 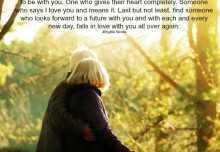 Love will find it’s way back to you. Falls in love with you all over again. The only people you need in your life. I don’t think that applies to ALL. Some people are looking for excitement, not that dull person. It is a drug they get addicted to, and when it all blows up in their faces they play the victim.